Spice, wood, and all things not that nice. 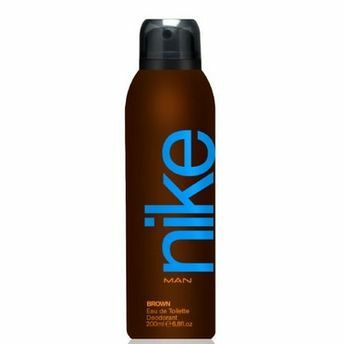 Full of naughty notes, Nike Brown Men Deodorant Spray is an innovative and invigorating blend of earthy, woody, musky, with floral and fruity. The scent is bound to keep you fresh and awake for long, keep you smelling awesome the whole day. This masculine scent is timeless, in its own unique manner. Spritz it on for a refreshed day.